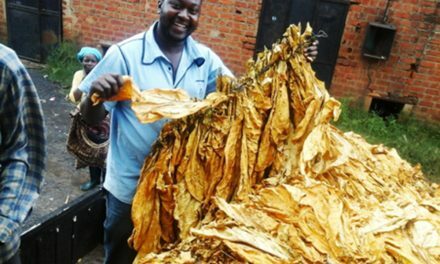 The problem of climate change and extreme events in Chiredzi. 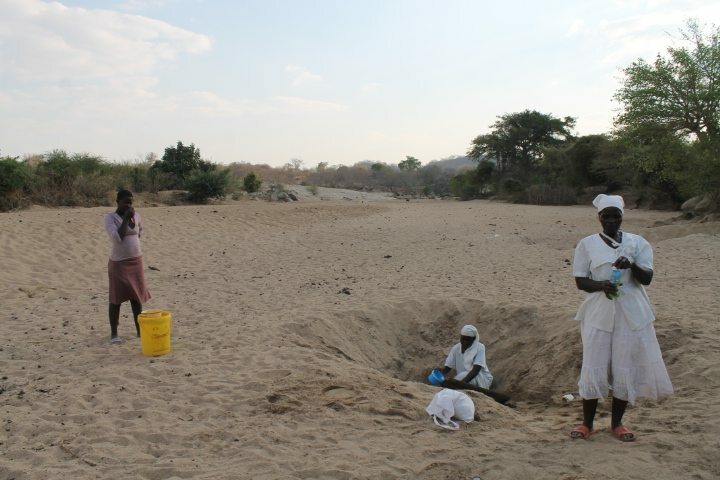 The civil protection committee highlighted concerns over the frequent occurrence of flash floods, “Chiredzi District can receive in a single flash flood about 130mm of rain in 24 hours.” They also went on to explain how the flash floods were leading to soil erosion from runoff that came especially from roof tops. The environmental sector indicated that a lot of gullies were being formed as a result of the runoff that was drawn from rooftops during the heavy rainfall events. The community explained how they experienced water shortages. 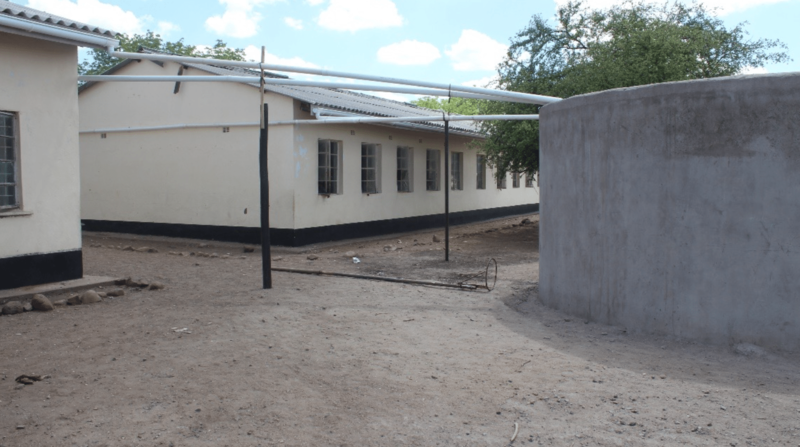 Chingele Primary School headmaster, Mr Tyanai Sithole had the following to say as an example, “The school has an enrolment of 800 pupils but only has one functional borehole located 500 metres from the closest classroom block. This takes away important learning time for pupils who have to go in pairs if one needs to fetch some drinking water.” Adding on to this, he mentioned how the distance made it difficult for the school authorities to improve the aesthetic value of the school environment because it was difficult to establish flower beds, gardens and orchards. 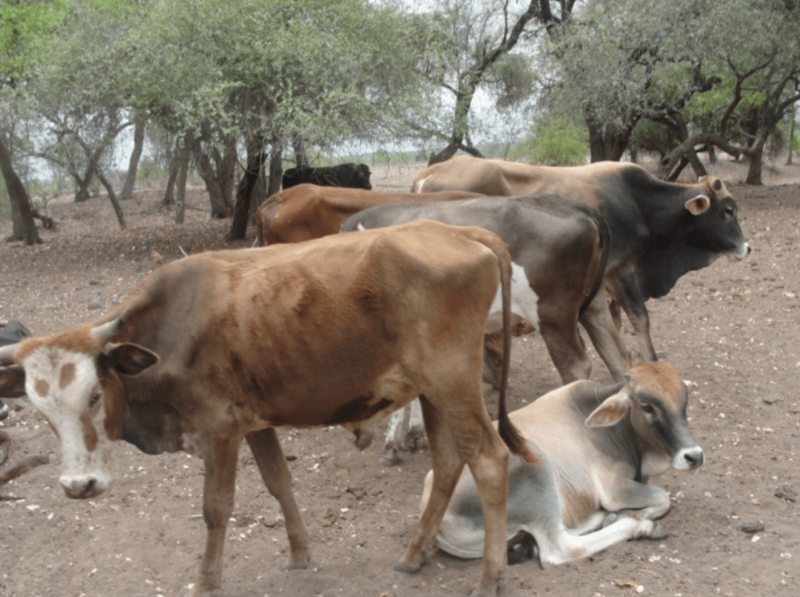 The stakeholders also explained how the frequent occurrence of droughts were leading to a decrease in the quantity and quality of pasture thus also leading to overgrazing and ultimately making the land prone to soil erosion in heavy rainfall events. 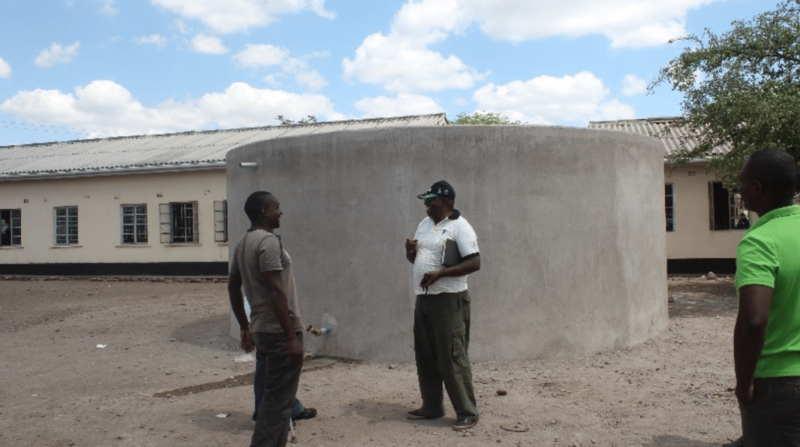 The case of Chingele Primary School Water Harvesting Project. Having identified the challenges mentioned above, stakeholders from Chiredzi District, working through the Scaling up Adaptation Project identified rainwater harvesting as an adaptation strategy with multiple benefits, solving most of the problems that had been identified; water for the school children and environmental benefits for the community through reduced soil erosion and gully formations. However, stakeholders realised that the full benefits of the identified adaptation strategy could only be realised if they worked together in a coordinated way as they had done during the planning stage. As so, Chiredzi Rural District Council spearheaded the process by carrying out site assessments basing these on the status of the roofs and number of blocks for water harvesting. From these, Chingele Primary School was selected to be one of the six sites where water harvesting would be piloted. This process was then followed by involvement from Department of Mechanisation and Irrigation Development under the Ministry of Agriculture Mechanisation and Irrigation Development who provided technical guidance on the design and supervision for construction of the water harvesting structure. “The tank has a capacity of 55 000 litres and was constructed in a way that will prevent dirt from flowing in and contaminating the water. It was also constructed in such a way that it can be constantly cleaned to prevent formation of moulds” describes Brian Madzinga from the Department of Mechanisation and Irrigation Development Chiredzi. Refusing to be left out from the work was also the community leadership that encompassed councillors, headmen and village heads who helped in mobilising communities for the construction of the water harvesting tank. The response the community gave was tremendous. Not only did they provide locally available resources such as sand, bricks and stones but they also provided their labour during the construction of the tank. In all this, AGRITEX became a bridge between the technical departments and the community as they contributed in coordinating the two parties. 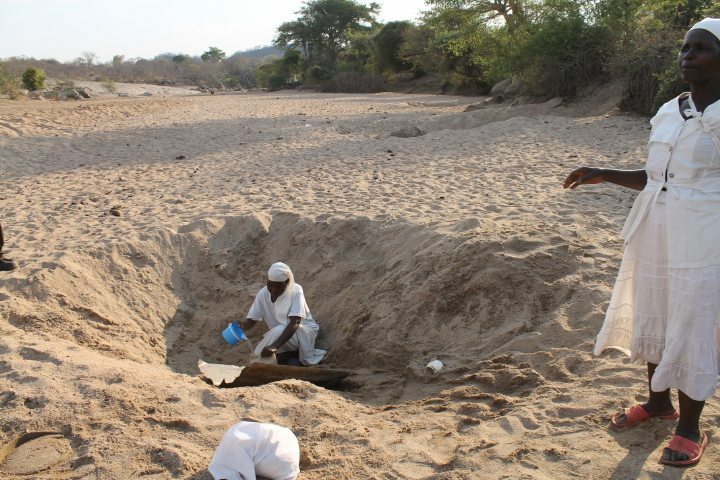 Progress towards the setting up of Chingele Water Harvesting Project has +been successful with minimal back draws as stakeholders from different backgrounds managed to work together and are continuing to work together in a coordinated manner. 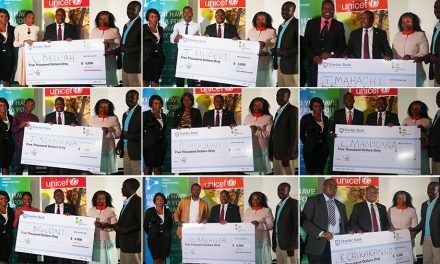 As a result, vast benefits which address the mandates of many government institutions are already being realised and others expected to materialise from the coordinated efforts invested in the Chingele Water Harvesting Project as the project continues to unfold. 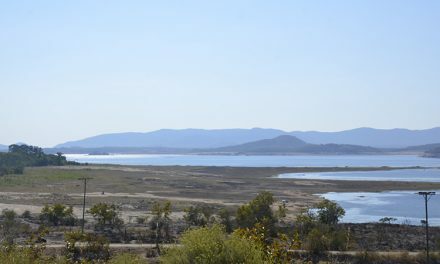 “Following the completion of the tank in 2016, it has been full to capacity with the rains received only between the period of December 2016 and January 2017. They had to actually let some of the water out” Farai Shonhai from Plan International, who is also the Project Coordinator for the Scaling Up Adaptation Project in Chiredzi expresses. “We have already begun to realise the benefits of the tank especially in relation to water availability. Children at the school are using this water for washing hands as well as in the school garden. The water however is not yet being used for consumption purposes as Ministry of Health and Child Care and the Environmental Management Agency still need to test it,” he adds on. In an effort to continue building resilience through integrated planning, AGRITEX plans to use the water harvesting tank at Chingele Primary School as a community resource centre where farmers from the surrounding community can learn about rooftop rainwater harvesting as an adaptation strategy to climate change and its advantages in relation to improving their water and food security so that ultimately, the community replicates the idea on a household level. Plans are also underway to make use of this water to support a nursery, woodlots and fruit tree production at the school with Forestry Commission supporting the initiative. This will not only improve the aesthetic beauty, but will help to reduce erosion of the soil and thus ultimately improve the general environmental management around of the area. Apart from various stakeholders coming together and working in a coordinated fashion, the success of the project is also anchored on the continued support the project gets from the donor community: UNDP/GEF who is working through Oxfam and its partner Plan International and through the Environmental Management Agency.